So last night I spent my evening exploring Soho, stopping by the last day of The Little Black Jacket Chanel exhibition in New York, and spotting Ami from Miami Ink. The usual. Seriously, how is every person in Soho so cool and chic? 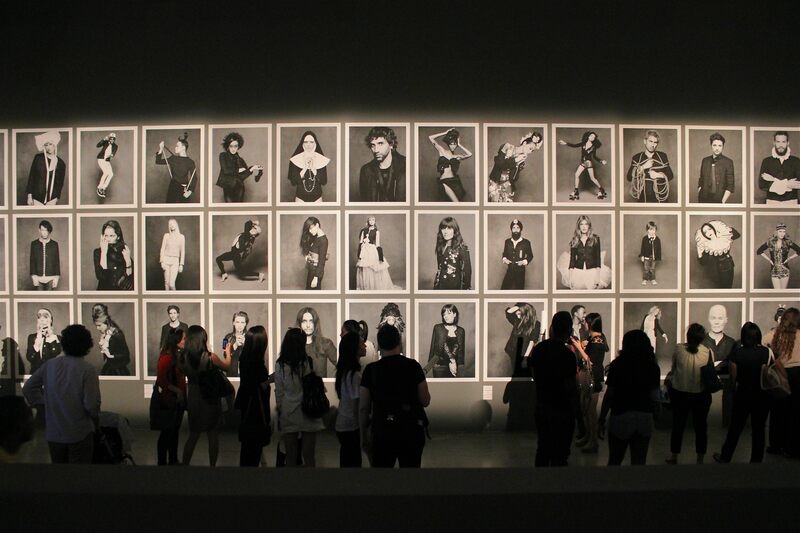 This exhibition, put together by Carine Roitfeld (former editor of French Vogue) and Karl Lagerfeld, centered around Chanel’s classic black tweed jacket. Dozens and dozens of photographs were taken of various celebrities rockin’ the iconic garment in their own unique way. 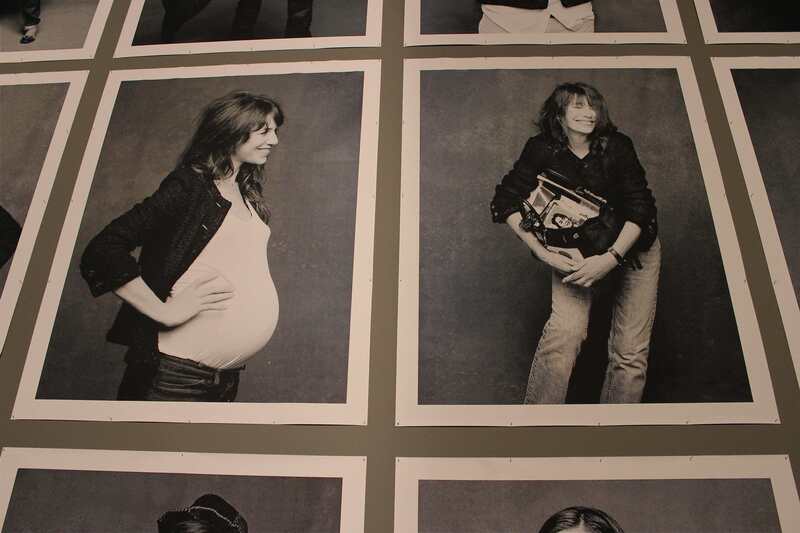 I really love this capture of three generations between Charlotte Gainsbourg and Jane Birkin. I swoon for mother-daughter moments. Make sure to check out all the amazing fashion via the first LIVE online streaming of the Met Gala tomorrow, May 7 from 6:30-8:30 pm (EDT). If you watch closely and spot me, it will be completely by accident. I’ll be the one in black. I have recently become completely obsessed with the show Felicity. You see, I missed the wave of Dawson’s Creek and My So-Called Life that swept the 90’s (too busy still playing with Barbies I guess). But thanks to Netflix, I have now zipped through Season 1 of Felicity in a couple weeks. Although it’s a show very representative of the 90’s (it has Amy Jo Johnson, the Pink Power Ranger, for goodness sake! ), I feel it really resonates with my current life. Felicity is a smart, yet rather meek high school graduate who ditches her Stanford plans to follow a crush she barely knows to New York City. Not exactly what I’ve done… but I can definitely relate with the confusion and humor that comes with struggling to find yourself in such a big city. I really like this J.Crew shirt because it’s a very subtle, elegant pattern. Flannel often screams ‘lumberjack!’ but the neutral gray of the shirt makes it incredibly stylish and versatile. This is a modern version of the classic flannel shirt. I love the colors and most of all, the elbow patches! It’s bold but can easily be dressed down with jeans or dressed up paired with skinny black pants or belted over a dress. I love this shirt. And not just because the pattern is called Dorthy Blackberry Julip (how delicious does that sound?!). The colors add a bit of a feminine flair to this garment, if you nix the bowtie. Flannel doesn’t have to be designated only to shirts. I really adore this red checkered flannel dress. Simple, yet fun. Baby, It’s (Gonna Be) Cold Outside! This seems to be essential winter garb #1. Make sure it has down feathers and a hood, it’s like wrapping yourself in a duvet. I love the Loden color (found on overstock.com)! There’s nothing more satisfying than fearlessly stomping through puddles (I apologize to those who walk beside me). 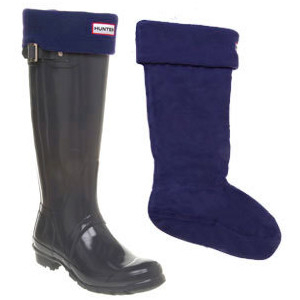 Come winter time when snow turns to slush, rainboots with liners will keep your piggies warm and dry. Heattech wear helps keep you extra warm by absorbing moisture and generating heat through movement. Both the knee high socks and tights are a a great way to dress up for work/going out and still look stylish without exposing your gams to the elements. Because texting with mittens makes me sound incoherent. LA girl Emily Schuman incorporates posts on food, fashion, and home design all with IMPECCABLE taste. it’s a high quality blog from someone of a younger generation which I especially find inspiring! it’s hard not to be sparked by creativity from the beautiful photographs of Emily’s blog– makes me go California dreamin’ every time. I love my Vogue but for more realistic fashion inspiration I look to Instyle. The Look of the Day always piques my interest. It also does a great job of breaking down new trends and beauty tips– I call it my personal stylist. addictive. i used to use flickr.com to find inspiration photos on recipes, clothes, and decor, then bookmark them. the beauty with pinterest is that you create your own personalized bulletins that contains all your favorite finds all in one spot! GENIUS– i really wish i would have thought of this. feel free to follow my bulletins! you have that special event coming up (graduation, wedding, holiday party…) and after rummaging through your closet find you have absolutely nothing to wear. i hear ya sista. the problem is that you don’t want to spend tons of money on a dress that, let’s face it, you’ll probably only wear once or twice. that’s the beauty of rent the runway. this site allows you to borrow top-designer garbs and accessories without paying the full price. i LOVE it and highly recommend it! when i’m in a bit of a cooking rut, i always look to tastespotting to pick me up. it’s a compilation of food photos submitted from fellow bloggers. the quality of the photographs is magazine worthy and it keeps me up-to-date on new techniques, food trends and unique recipes. This was the blog that started it all. I remember discovering this site freshman year of college and it catapulted my idea of what an ‘amateur’ blog could be. Not only will you fall in love with the beautiful photographs and recipes but also the witty writing of NYC resident Deb Perelman. It’s one of two food blogs that I am subscribed to, which to me is a huge deal. And if all else fails, there’s always stumbleupon.com. By personalizing to your likes and interests, stumbleupon is similar to pandora.com in its approach. I promise it will help you find your next favorite website/blog as well as waste hours upon hours of precious time. here’s a silly text conversation between two working girls in the city (myself and my friend Anne Larimer). 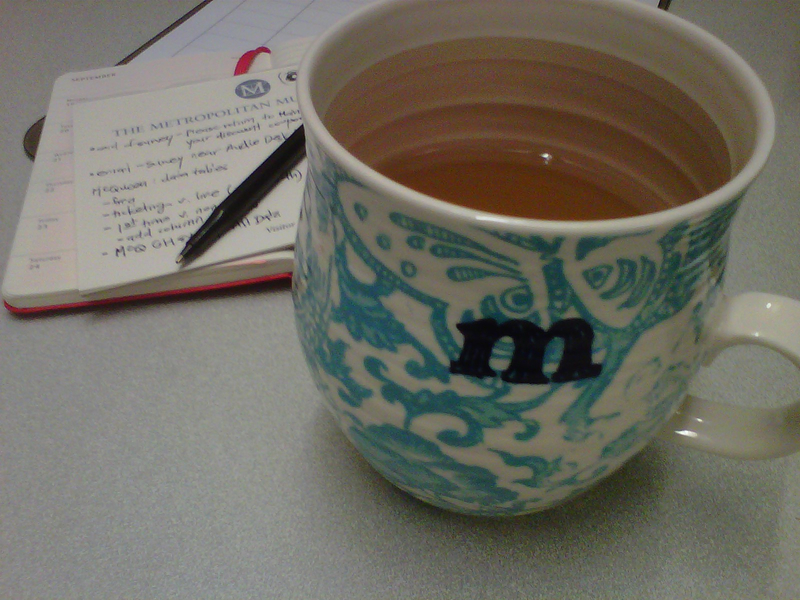 she bought me a beautiful monogrammed mug from Anthropologie for my birthday which I was so happy to bring to work today! AL: Yummy is that hot chocolate? Speaking of all things beautiful and British, did anyone see Kate Winslet (in Elie Saab) at the Emmy’s last night? stunning in red. and a big hip-hip-hooray to Downton Abbey for winning four Emmy’s including Best Mini-series! Can someone in England please send me a boot-leg copy of Series 2?! I can’t wait til JANUARY!! my favorite look of the night, however, was Christina Hendricks (in Johanna Johnson). so sparkly and va-va-voom! When New York goes out, it goes ALL OUT. 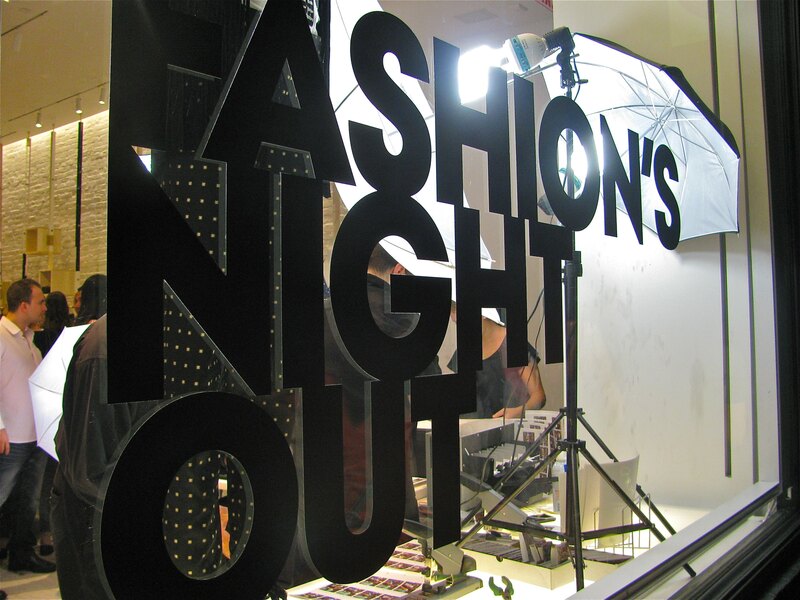 Hence, Fashion’s Night Out was a lively affair! The streets of Soho were so packed with people in stilettos last night, I felt even more miniature than usual. I was so surprised to learn that this was only the 3rd year of this event as it seems like ‘the scene’ for anyone remotely interested in fashion to mingle and be seen. For one night, all the clothing stores and boutiques in New York City stay open until 11p with fun events and performances going on throughout the night (plus free booze and food… if you get there early). 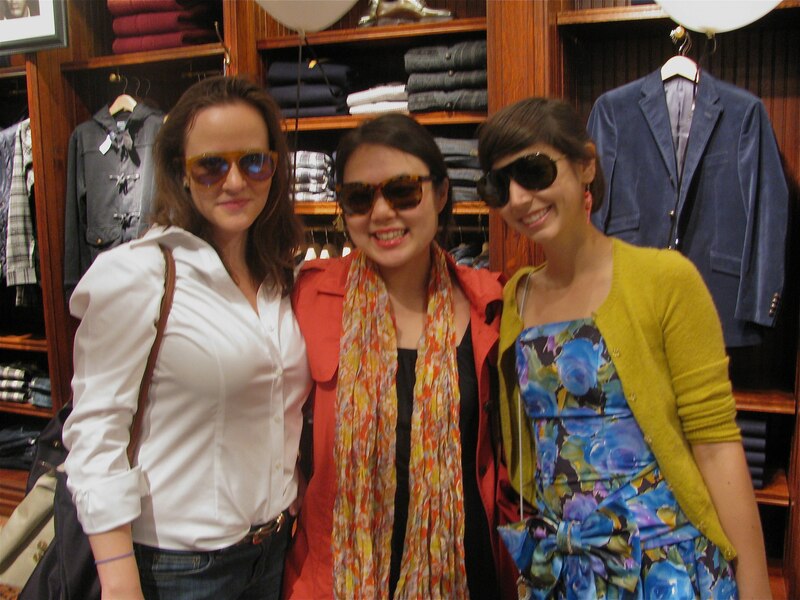 FNO has also spread all over the country to over 250 cities, which just means fun for everyone! 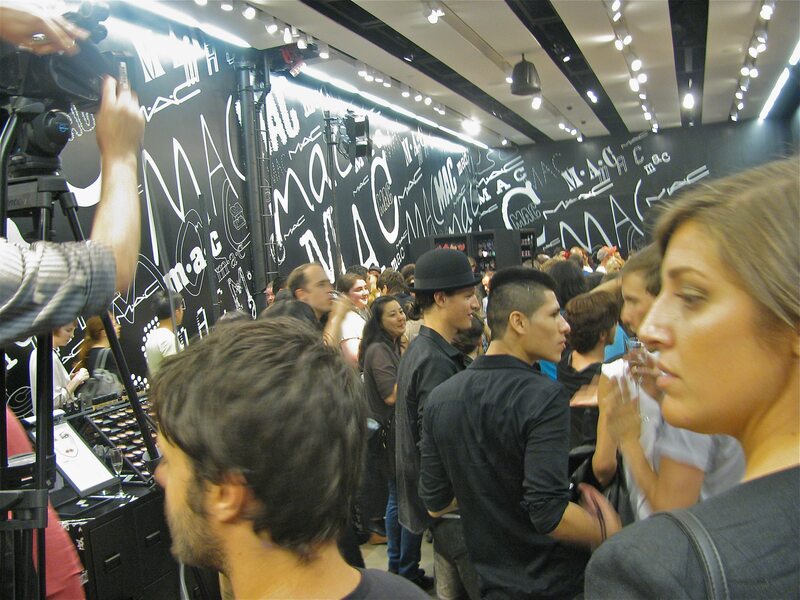 The night began when I met up with my friends Anne Larimer and Beca at the MAC store to get prettied up before we hit up all the designer stores. Little did I expect my eardrums to be busted from the shrieking screams of hundreds of people when the Kardashians arrived at their nearby store DASH. complete and utter mayhem as I stood outside the MAC store and waited for someone to hand me a glass of champagne 🙂 life in the city is rough yo. Afterwards, we headed to Marc Jacobs (one of my favorite designers), proceeded to see the most wonderful $12,000 coat made out of bunnies (which I will conveniently block out of my mind. It was SO soft!) as well as Dakota Fanning. 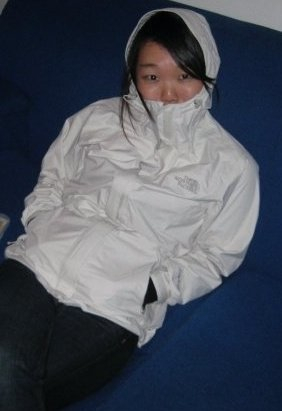 I was more interested in the coat. 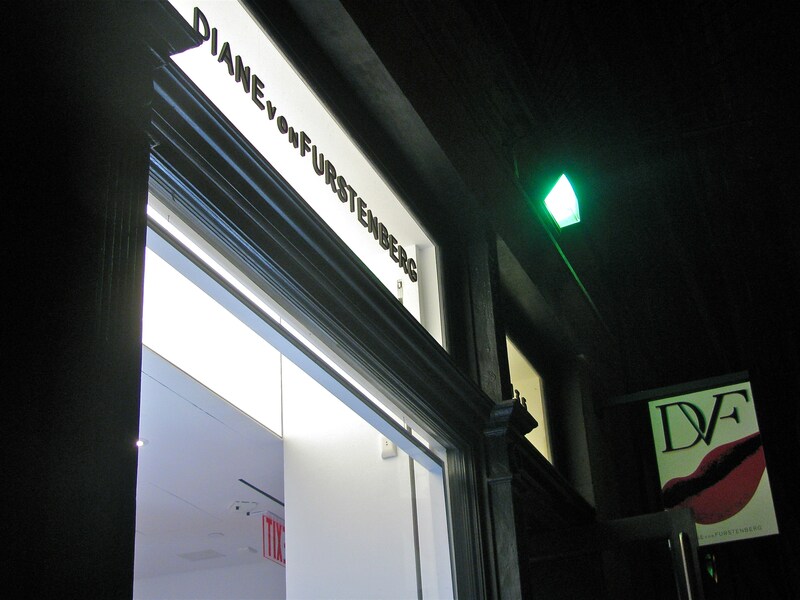 Then we just walked around stopping by several other stores before ending at Diane von Furstenberg (another favorite!) and Betsey Johnson. 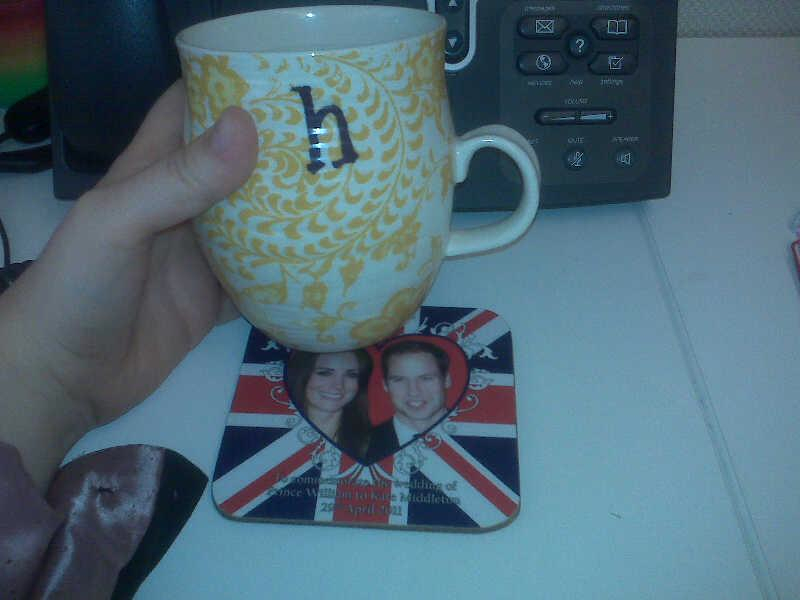 It’s just so nice to feel completely indulgent every now and then. By the end, I was completely girl-ied out. The damage: $0. The experience: fashion euphoria. the one and only, the Met. i don’t think i could ever get sick of walking up these steps. every weekday (and some weekends) i wake up, take the 4 or 5 line to 86 St then walk across to 5th avenue. and every morning, i seem to be even more exhausted and drained than the last. but when your walk to work includes seeing lines of people patiently awaiting hours before the museum even opens, it perks you up better than a shot of espresso. my internship at the Met has been both physically and mentally challenging, yet completely rewarding. within the first two weeks, we met with curators and educators of every department from Art of the Ancient Near East to Modern and Contemporary Art. it was unbelievable meeting and hearing from the best of the best in each specific field. i found myself learning so much about topics that i never thought i would have interest in. (if you ever want to learn about slit gongs from oceania, hit me up). in addition, each intern is responsible for designing two guided tours to the public. 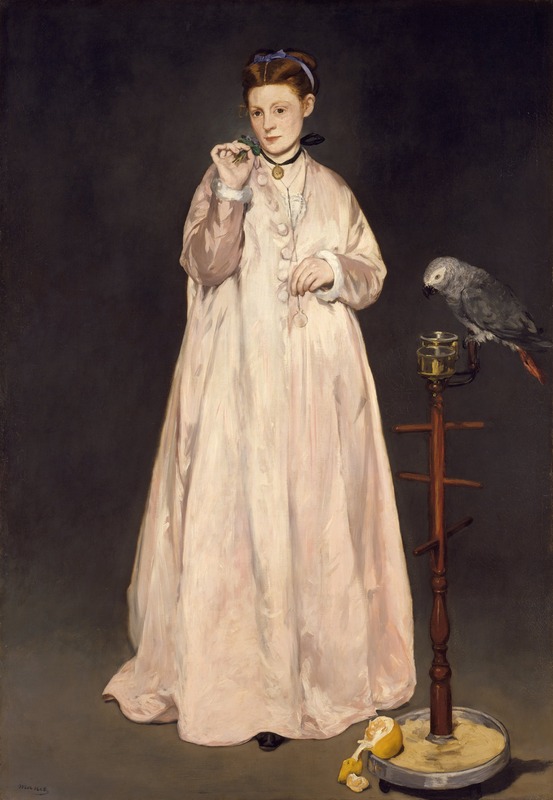 the first incorporates the “highlights” or most well known works at the Met. out of a list of 115 or so items, each intern picks 6-8 works with a theme linking them all together (mine is “the working woman found in art”). 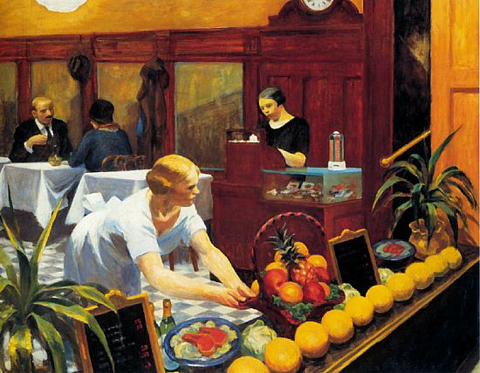 the other tour is an open-ended special topics tour in which any works can be chosen to develop a very specialized tour of our own interests (mine is entitled “European Art through the Five Senses”). i found this process to be at first daunting, and now utterly empowering. i appreciate that the Met doesn’t spoonfeed us a list of “top hits” that must be included in every tour, but instead gives us the leeway to design very personal, individualized tours. every tour you get at the Met will be completely different from the next because it has been carefully tailored by that tour guide through hours (and hours) of thought, consideration, and immense research. 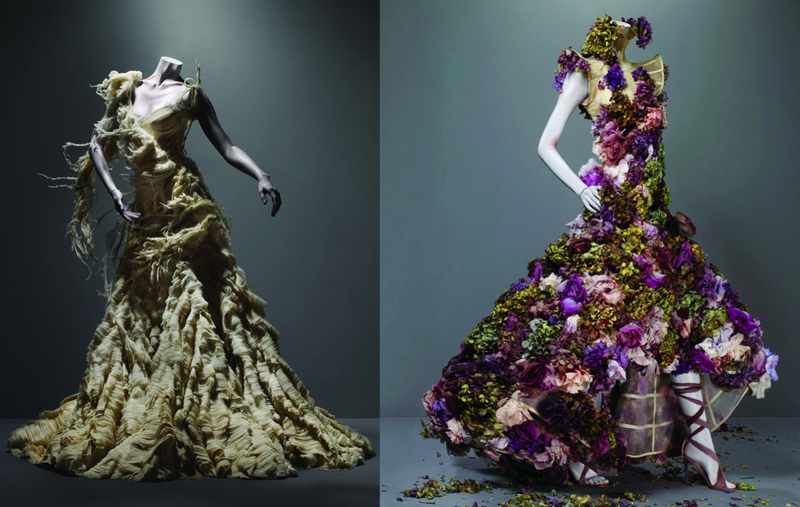 seeing the alexander mcqueen exhibit early one morning by myself (so scary, yet so stunningly genius). i must say i never understood how moving fashion could be, until i saw this. having a visitor ask me how to get out of the museum. and me actually knowing! rediscovering just how lucky i was to finally listen to my heart and follow my passion, art. 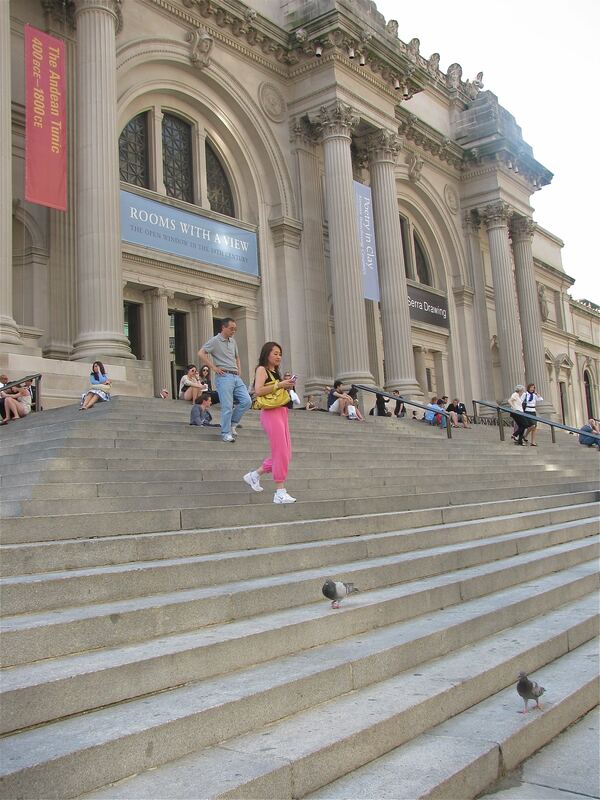 so if you ever find yourself at the Met this summer, let me know. you will find yourself on a tour with me around the museum, whether you’re willing or not.